Posted August 3, 2018 by Helena & filed under News, Writer's Life. Here’s a video I did during my lunch break today at Children’s Book World in L.A. Kevin Winston helps run my college alum network, and does a great job of bringing people together. He reached out to me last night to do this video, and I agreed. Kevin is a powerful influencer! He coached me for about ten minutes before we dove straight in. Enjoy! 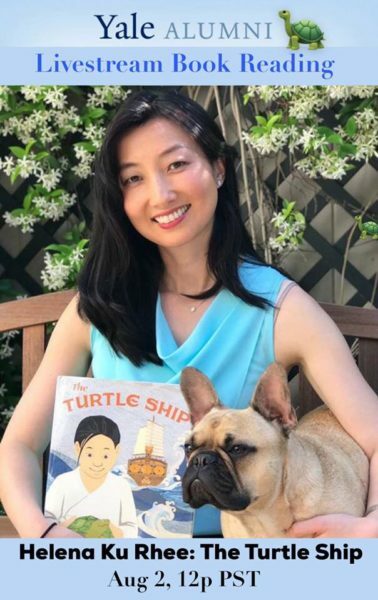 Did a quick Livestream event during my lunch break today about The Turtle Ship at Children's Book World in L.A. with Kevin Winston. Check it out, Colleen, Jessica and Lee & Low Books!